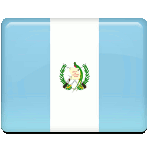 Guatemala annually celebrates Army Day on June 30. This holiday commemorates the events of 1871, when the Conservadora administration was put to an end. Rafael Carrera became President of Guatemala in 1851 and was appointed President for Life in 1854. He administered the country till his death in 1865. He appointed his loyal friend Vicente Cerna to be Field Marshall. After Carrera's death Cerna was appointed his successor and took control over the country. His administration was known as the Conservadora and it was marred by constant uprisings, that eventually led to his overthrowing by liberal leaders Miguel Garcia Granados and Justo Rufino Barrios on June 30, 1871. The coup led by two liberals paved the way for a successful 12-year presidency of Justo Rufino Barrios. He implemented extensive agrarian reforms, that lead to national flourishing. The anniversary of the 1871 uprising was originally known as Revolution Day, but later it was renamed to Army Day (Día del Ejército). This holiday recognizes the service of the armed forces for the national well-being. Celebration of Army Day is marked by annual military parade, usually organized in Guatemala City.